Jesse Mills and pianist Rieko Aizawa. The New Yorker has called the trio "the most compelling American group to come on the scene." They perform across the United States, and they will return to Asia for another tour in the Fall of 2018, and they will make their European debut in 2019, including a performance at London's Wigmore Hall. As a former founding member of the Daedalus Quartet, cellist Raman Ramakrishnan won the grand prize at the 2001 Banff International String Quartet Competition. With the quartet, he has performed coast-to-coast in the United States and Canada, in Japan, Hong Kong, and Panama, and across Europe. The quartet has been in residence at the Chamber Music Society of Lincoln Center, the University of Pennsylvania, and Columbia University. Mr. Ramakrishnan has given solo recitals in New York, Boston, Seattle, and Washington, D.C., and has performed chamber music at the Aspen, Caramoor, Charlottesville, Four Seasons, Lincolnshire (UK), Marlboro, Mehli Mehta (India), Oklahoma Mozart, and Vail Music Festivals. 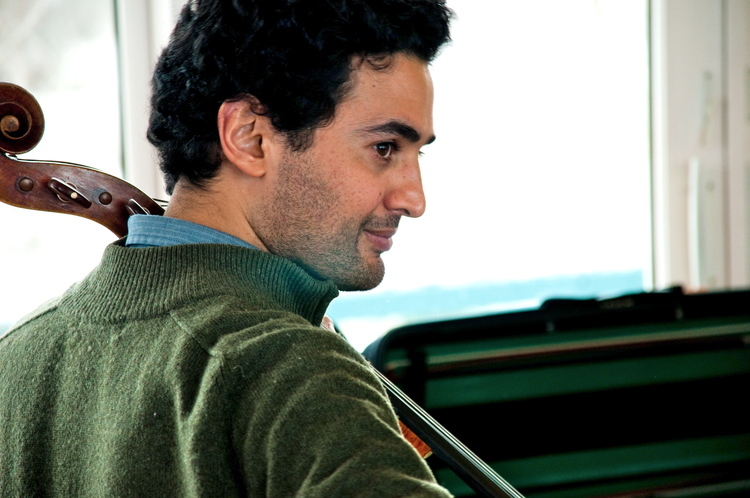 He has toured with Musicians from Marlboro, is a member of the Boston Chamber Music Society and the East Coast Chamber Orchestra, and has performed, as guest principal cellist, with the Saint Paul Chamber Orchestra. As a guest member of Yo-Yo Ma’s Silk Road Ensemble, he has collaborated with musicians from the Iraqi National Symphony Orchestra and performed in New Delhi and Agra, India and in Cairo, Egypt. Mr. Ramakrishnan was born in Athens, Ohio and grew up in East Patchogue, New York. He holds a Bachelor’s degree in physics from Harvard University and a Master’s degree in music from The Juilliard School. His principal teachers have been Fred Sherry, Andrés Díaz, and André Emelianoff. He is on the faculty at Bard College.